The invitation to the event. Alexandre Farnoux, Director of the French School at Athens will present the work of the School in 2013. 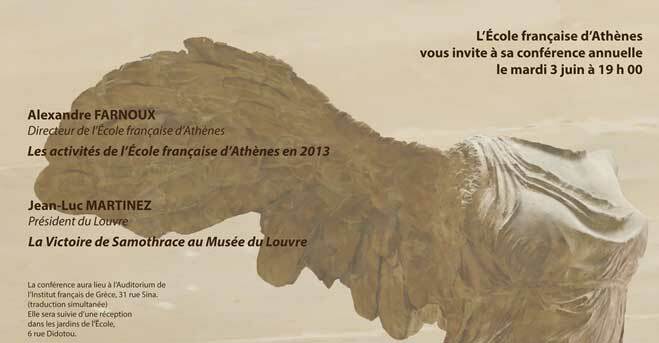 A lecture about the Nike of Samothrace at the Louvre, given by the President of the Louvre Museum, Jean-Luc Martinez, will follow. A reception will follow in the garden of the School (Didotou str. 6).